Simple yet sophisticated, this dining set is fit for formal or casual dinners. 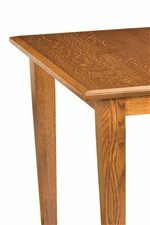 Its rectangular bevel edge table-top is smooth and sturdy, and comes two 12" leaves for extended seating and serving space. 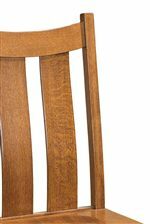 Side chairs with simple slat-back designs are both comfortable and versatile. 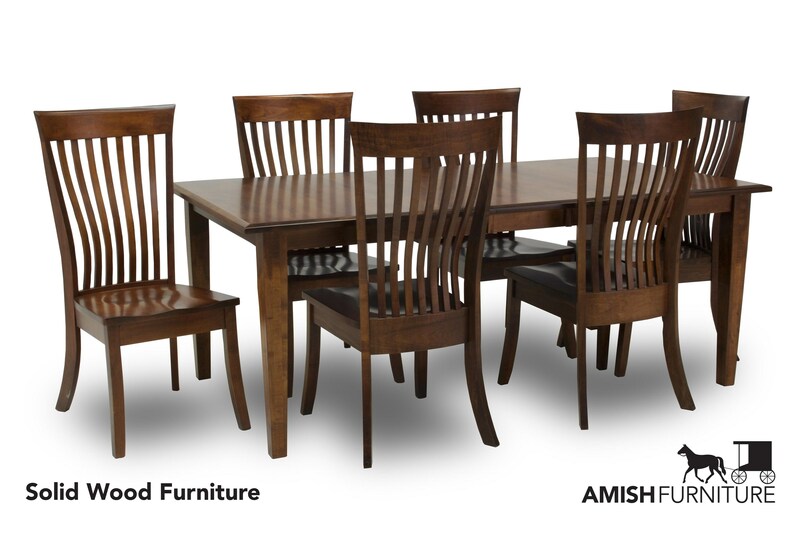 Make lasting memories with family and friends around this classic dining table set. 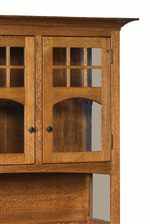 Customize the look by choosing from a variety of wood types, finishes, and size options. The Classic 7 Piece Dining Set with Slat Back Chairs by Amish Impressions by Fusion Designs at Ruby Gordon Home in the Rochester, Henrietta, Greece, Monroe County, New York area. Product availability may vary. Contact us for the most current availability on this product.